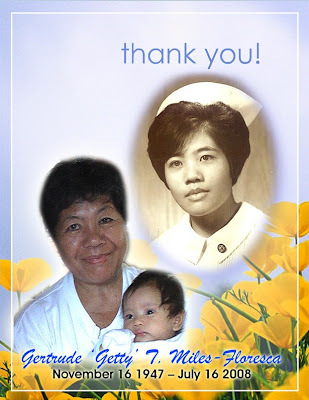 Dear Friends and Family, This month , my family has lost another precious member. 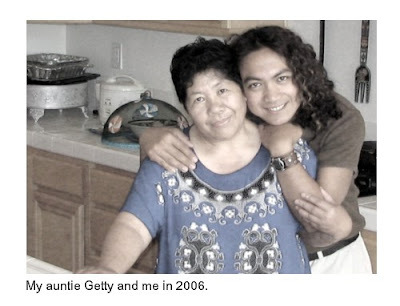 That's my Auntie Getty. She had lived a good life and she will be truly missed. 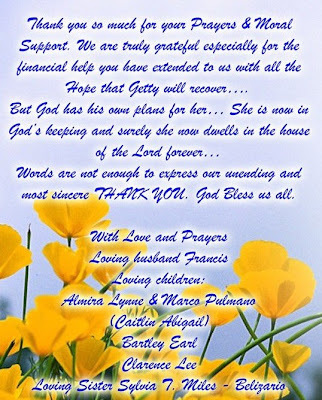 The loss of auntie Getty had brought on a lot of sadness. Losing someone we love forces us to focus on the beauty of life (If we only allow our eyes to see). To be thankful for the blessing of life. To remember the goodness in everyone and to be in the moment as much as we can. We never know when it's our time to go too. 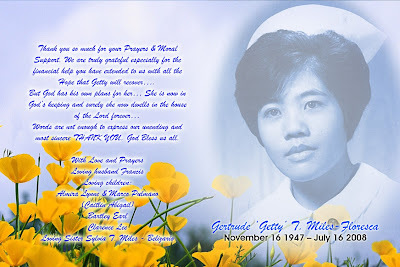 I will remember you auntie Getty. Always. I will keep you in my heart. June 2008 - Summer Is Here!